Calvi Fiume-Secco airfield (French: aérodrome de Calvi Fiume-Secco) was an airfield on the northwest coast of Corsica. It formed part of the "USS Corsica" group of airfields. The French army aquired 47 hectares of land to build a military airfield during the summer of 1935. By decree, the land was declared of public use on 6 May 1935. The surfacing work was completed in March 1936, but the procedure of purchasing plots was completed only in June 1940. Equipped with temporary hangars and barracks built between August 1939 and February 1940, the airfield was ready to be used by the French Air Force from September 1939. After the invasion of Vichy France, the Italian army took possession of the airfield until 1942. They did not enjoy the use of the airfield for very long however. 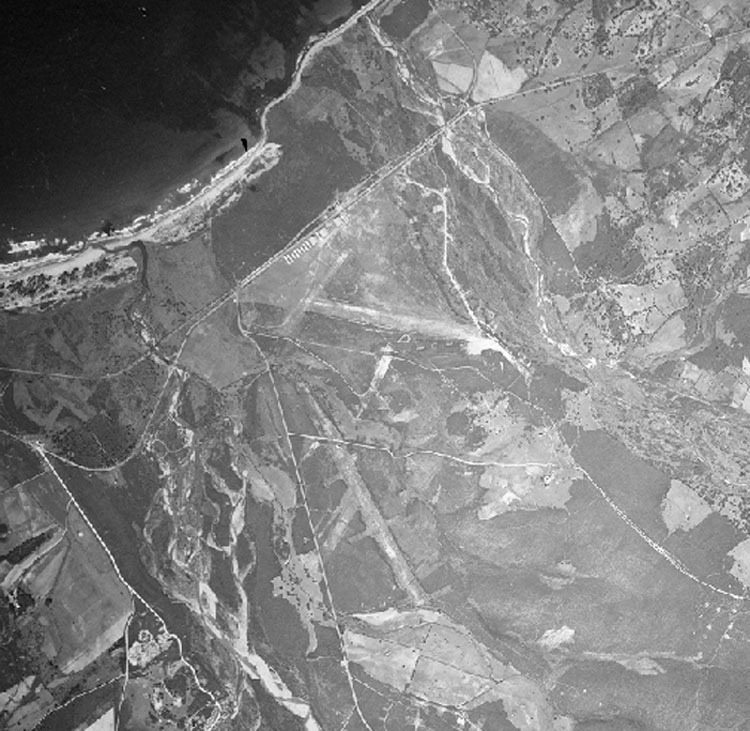 After the liberation of Corsica in October 1943, the USAAF settled on the airfield, although no units were based on this airfield. 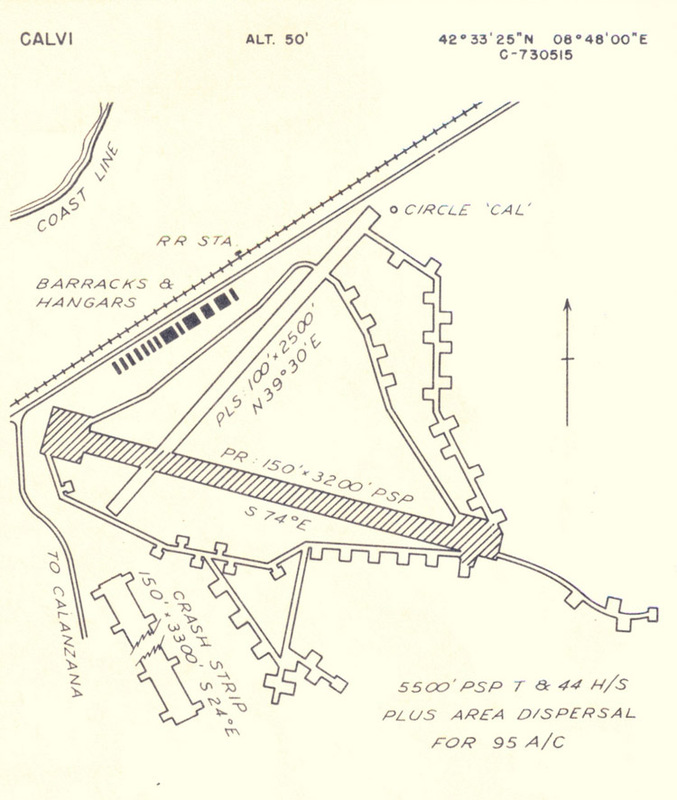 The airfield was used only when a large capacity was required (such as the invasion of Southern France, a.k.a. Operation Dragoon) or for emergency landings of battle damaged aircraft. This remained until the departure of USAF in 1945. After the war, Fiume Secco remained unused until it was declared open to slow and light aircraft based there. In September 1947, the airfield was assigned primarily to civil and commercial aviation and as a backup to the French Air Force. 1951 - aérial view of the airfield. 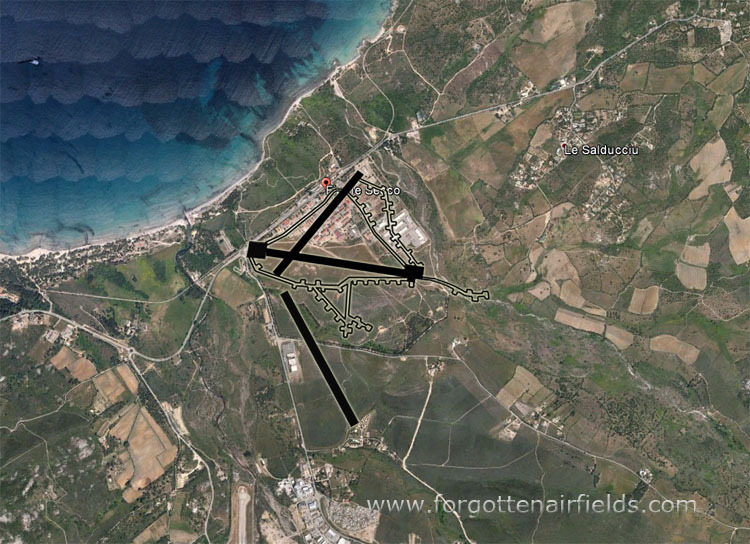 The two main runways, some dispersals and especially the crash runway are clearly recognizable (geoportail.fr). 1954 saw the installation of a paratrooper unit at Fiume Secco. In December 1955, a repeat of the decree in September 1947 referred to the Army as the main controlling agency, with the Air Force as secondary assignee. Another ministerial decree in March 1956 permanently assigned the airfield to the terrestial army (Armée de Terre), who built a barracks on the site. Cramped and poorly cleared, it was soon abandoned in favor of Calvi St.Catherine. This occurred so quickly, that the latter was the only airfield in Calvi to appear on the list of airports open to public air traffic published in 1962. Although dismantled and abandoned, Calvi-Fiume Secco remained on the list of airfields for the exclusive use of the French government by error until 1978. The error was corrected and the list updated in 1983.